First of all a very big thank you to Woodford Dolmen Hotel and the Catering Innovation Agency for their very kind nominations. I will remember your generosity and look forward to returning the favour in the very near future. 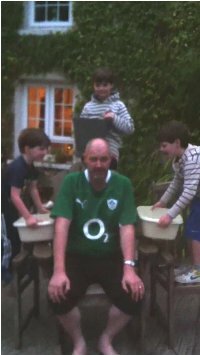 Don’t ask your 4 year old to pour a basin of water over your head because you will end up having to help do it yourself!